Goichi Suda, commonly known as Suda51, has never been shy about his passion for the indie gaming market. As he told us back when we last spoke to him in 2016, his company, Grasshopper Manufacture, started off as a small indie studio, and he has been trying to get back into the “indie frame of mind” for his more recent releases. No More Heroes has been one of Suda’s more famous and well-received franchises, and it was recently announced that a spin-off within the franchise was making its way to the Switch: Travis Strikes Again: No More Heroes. 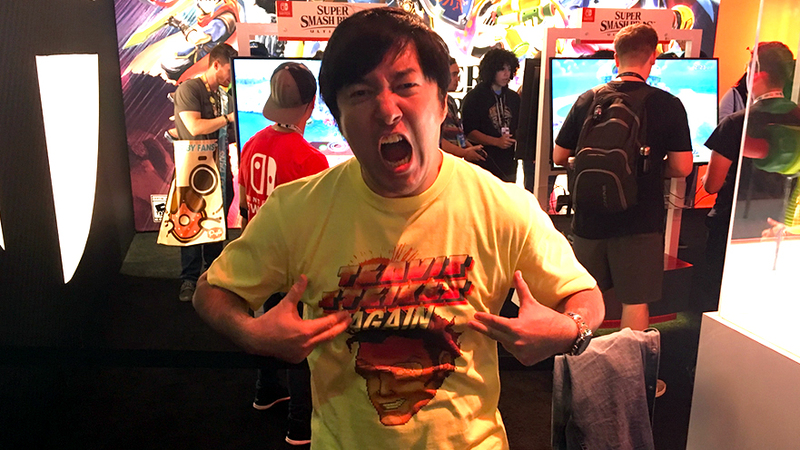 The game was featured as part of Nintendo’s booth at this year’s PAX West, and Suda was present to help promote the title. 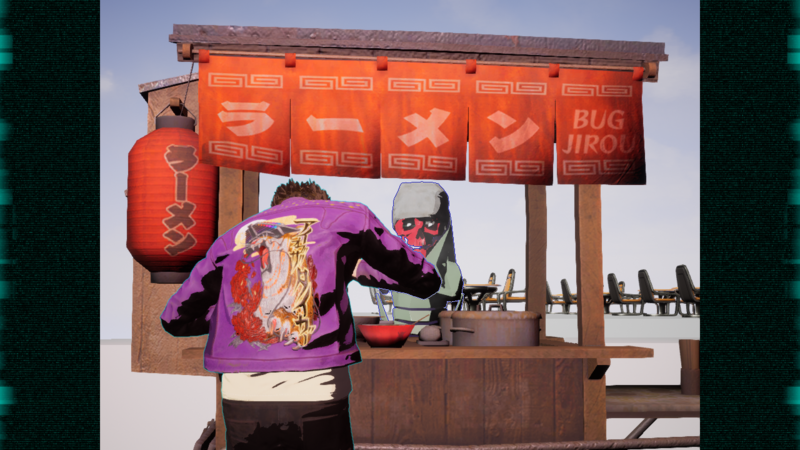 We had the opportunity to sit down with Suda for a few quick moments to discuss his upcoming title, its indie inspirations, and what he hopes to work on in the future! Gamer Escape: For our audience, could you give us a basic rundown of your upcoming game, Travis Strikes Again? Suda: This is the first time in a while we’ve been working with Nintendo, working on the No More Heroes franchise. 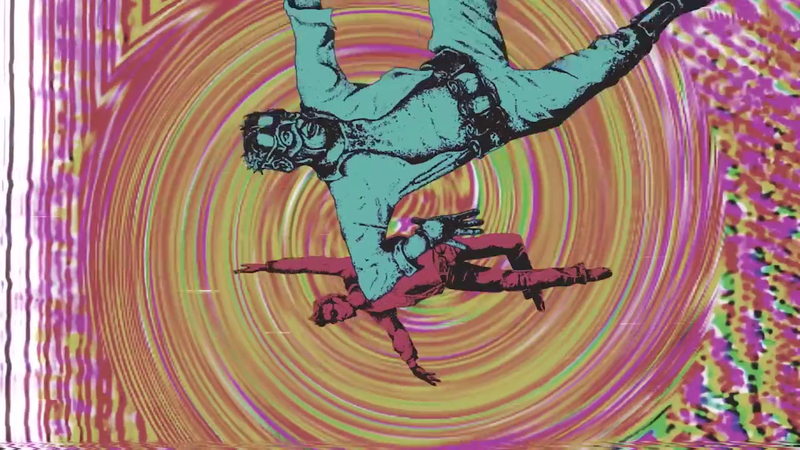 However, this is a new IP within that: Travis Strikes Again: No More Heroes. This time, rather than focusing on Travis and his battle as an assassin, he actually enters into the world of video games themselves and fights within there. Gamer Escape: It’s pretty well know by this point, as you were saying, Travis Strikes Again isn’t a direct sequel to No More Heroes, but rather a kind of spin-off. What led to the decision to market this game as a spin-off, rather than creating a direct sequel? Suda: Two reasons. The first reason is that, if it was a numbered No More Heroes title, that gameplay system, that gameplay loop has already been decided, so I would have to work within that. So that’s one reason. 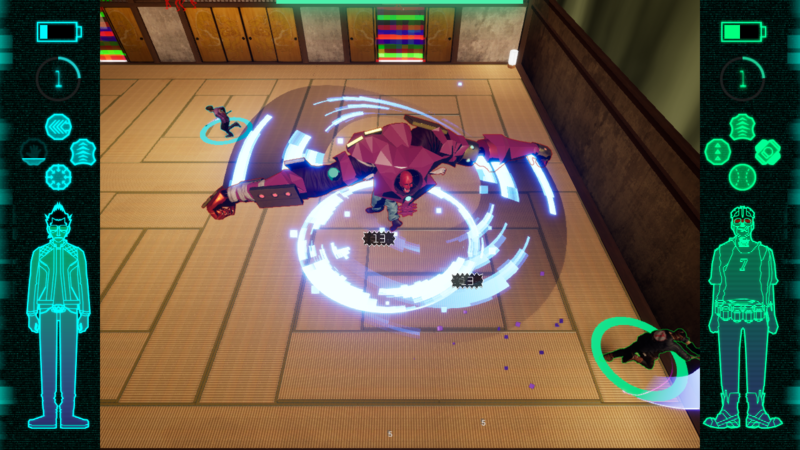 The other reason is that this time, as you can see, this is being treated as part of Nintendo’s “Nindie Arcade.” So, going back to that indie feel, going in terms of budget as well as team size, to make our own game in that small “indies” perspective again, these are things we wanted to challenge when we made Travis Strikes Again, which is why we decided to do it like this. Gamer Escape: Across your pretty extensive work history, it looks like you don’t often create sequels or spin-offs to many of your games. The only ones I’m aware of are No More Heroes and Silver Case. What is it about the No More Heroes story and universe that keeps you coming back to it? Suda: I feel really close to the character. He’s kind of like the other me on the other side. Because of that, I want to see him sometimes! I want to know what’s going on with him, I want to know what he’s up to. And so, because of that, I like to revisit him and see what’s going on with him. Gamer Escape: You’ve been bringing a number of your games to PC in recent years, including your upcoming release of Killer7. The No More Heroes series, though, including this one, has been staying exclusive to Nintendo. What’s led to the decision to keep it exclusive? Suda: Basically, Travis and the No More Heroes really fits well with Nintendo, with what they do. That’s why it is! Gamer Escape: You often speak of your passion for the indie game market, and you haven’t hidden its influence on Travis Strikes Again. What led to morphing the No More Heroes franchise into a kind of indie game tribute for this release? 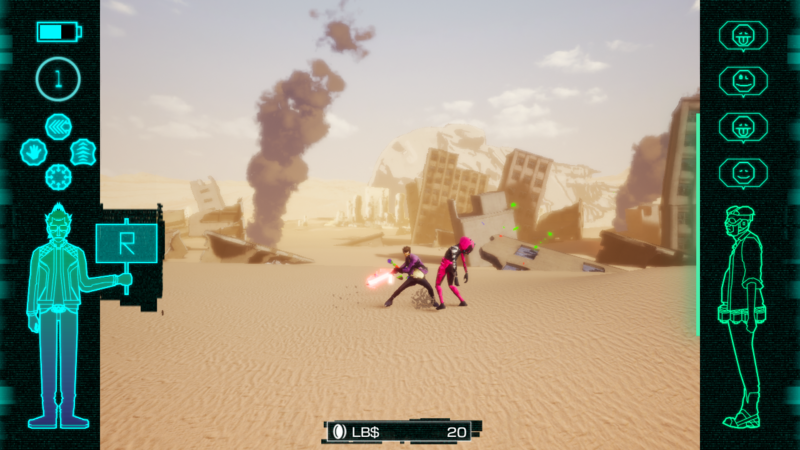 Suda: One of the big reasons is that, because this time, like we mentioned earlier, this is kind of within the indies concept, I wanted to pay tribute to all those indie developers as well. Also, one of the things I often hear, when I talk to developers, is just how much Grasshopper Manufacture has influenced them, particularly indie developers when I speak to them. So again, as a tribute to them, and as a good opportunity, I figured this would be a great chance to have this kind of collaboration for this title in particular. For me, honestly, as you know, most of the collaborations in this game all have to do with the t-shirts that Travis wears in game. Nintendo obviously gives lots of wonderful support to indies. But what I’m really hoping is that people will play the game, maybe see one of Travis’ t-shirts, and that will inspire them to pick up the indie game that’s on the t-shirt and give it a try. Gamer Escape: So a little bit of cross-promotion then? Gamer Escape: Knowing how focused PAX is on indie games, what’s the reception been like here? Suda: It’s been great! It’s been really great so far! A lot of laughs, people seem to be having a lot of fun and a lot of good times with it. Suda: You know, we’re a developer, not really a publisher. We don’t really have any experience being at shows like this at this capacity. Nintendo is gracious enough to let us be here, so, that’s why we’re here! It’s also really difficult to coordinate everything from Japan with PAX and the PAX management. Gamer Escape: With the gameplay of Travis Strikes Again being such a departure from its base series, did you ever consider creating a brand new IP, or was it always planned to feature these characters from the beginning? Suda: No, I really wanted to have Travis in this kind of situation. From the beginning, it was always intended to be as it is, and I never thought about doing something like this with another game. Gamer Escape: With Travis Strikes Again, the upcoming Killer7 remaster, and your revival of the Silver Case series, are there any more of your past games you’re hoping to revisit with a remake or a sequel? Suda: Yeah, honestly speaking, I would love for all of my games to be readily available on modern hardware for people to play. Obviously we’re kind of limited by who owns the rights to it, but at least in terms of the games that we ourselves own the rights to, I want to do that. The next one hopefully being Flower, Sun, and Rain. I’d love to get a port of that going. As well as No More Heroes 1 and 2! Gamer Escape: Do you have plans to continue working on titles for the Switch? Suda: Of course! I love the Switch! Gamer Escape: To wrap up, is there anything else you’d like our audience to know about Travis Strikes Again? Suda: Yeah, I think there’s a lot to offer here for pretty much anybody! Obviously, if you like action, it’s great if you’re an action gamer. If you like Grasshopper games you’re gonna love it. Even if you’re just kind of a Nintendo fan, there’s a lot here to offer for just about anybody. I really hope that everyone gives it a try on the Switch!